I met with Laura and her parents earlier in May for an autumn photo session. It was a customised and loosely structured session, allowing Laura to take the lead with some general prompts to help make the most of the afternoon light. This approached suited Laura much better than direct instructions and set up poses, making for a fun and relaxed session filled with lots of smiles! Silvergum portrait sessions are customised to suit your unique family. Having worked for 20 years child care, education and supporting children who have disabilities and their families, I understand an individualised approach makes for a more personalised and meaningful outcome. Prior to the day of your session I arrange a planning / meet and greet session ideally with everyone who will be attending the shoot, or over the phone. We chat about why you have decided to have a portrait session and your plans for your finished photos. This provides the overall aim for the session. We also discuss the personalities and dynamics of your family members, especially the youngsters, to plan a portrait session where everyone feels prepared, comfortable and at ease. Particularly for children, meeting me before they see me with a camera in front of my face (or seeing a photo and reading about what their session will involve) helps take away some of the uncertainty and helps us all to build rapport. Involving children in the planning allows them to have some input into their portrait session. Sharing their ideas and suggestions helps generates enthusiasm and excitement as they know their ideas will soon be put into action! In addition to the usual “get to know you” questions around people’s interests and personalities I explore how your child might react during their photo session and what I can do to ensure a positive and fun experience for everyone. Other areas to discuss inevitably pop up in conversation but these are just some of the areas I find useful to have a chat about. * Will any of your children need time to burn off excitement and energy before sitting down for a family photo? * Will someone need distance from the camera to really allow their personality to shine through? * Do they prefer a lot of direction or will the most natural photos be achieved by letting them play? * Is there anything that might make your child anxious and how can this best be avoided or minimised? Anything you can share with me that will assist in creating a fun, relaxed and meaningful portrait session is so important. If your child really loves a particular toy or game, I encourage them to bring it along. Their favourite treasures provide not just a talking point but a distraction from the camera providing endless opportunities for natural and engaging photos. It is not just the final photos that I want to you to enjoy, but the portrait session as well. A bit of planning goes a long way to creating a fun and relaxed portrait experience for you and your family. 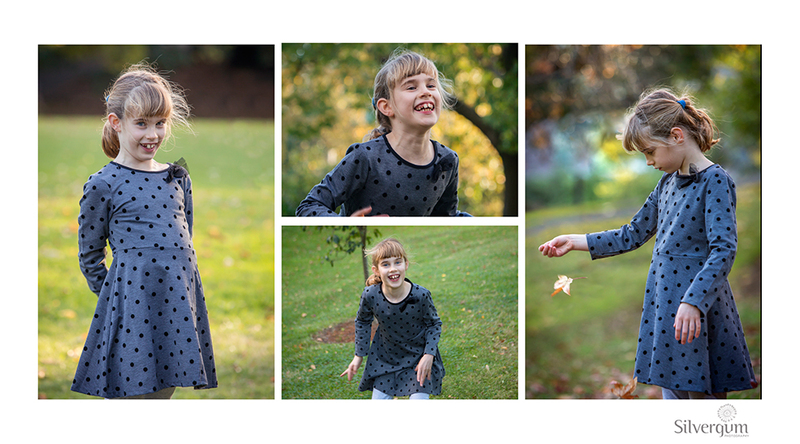 This entry was posted in portraits and tagged children, portraiture, Silvergum Photography.